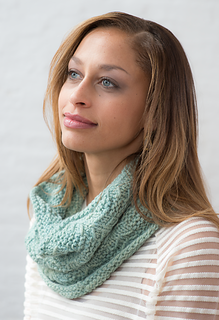 Designed by Antonia Shankland, this large cowl designed using Tundra in glacier is full of textural interest. 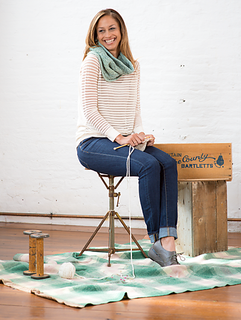 The easy to memorize knit/purl pattern features slipped stitches and the end result is a warm, soft and beautiful accessory. 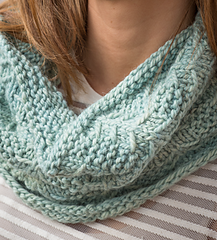 GAUGE: 14 sts + 24 rnds = 4” (10 cm) in stitch pattern, after blocking. NEEDLES: 1 - 24” US 10.5 (6.5 mm) circular, or size to obtain gauge. SIZE: 26” circumference, 12” height.